Public Administration Reform Coordinator’s Office in cooperation with Eda prepared “Budget for Citizens” – a document which in a simple and illustrative way presents budget of the institution for 2017. “Access to information on budgetary activities of an institution allows citizens understanding political and economic decisions and monitoring of public expenditures, as well as increase of transparency of the institution. Our budgets are published in the official gazette, on our website, but they are often incomprehensible to the general public. Following examples of good practice, we wanted to show citizens that even the most complicated things like a budget can be presented in a simple way”, said Dragan Ćuzulan, public administration reform coordinator. Ćuzulan also mentioned that “the availability of information is extremely important to combat corruption and achieve higher level efficiency of public services”. Public Administration Reform Coordinator’s Office will continue with this practice of publishing of “Budget for Citizens” and creation of the next document is expected in early 2018. 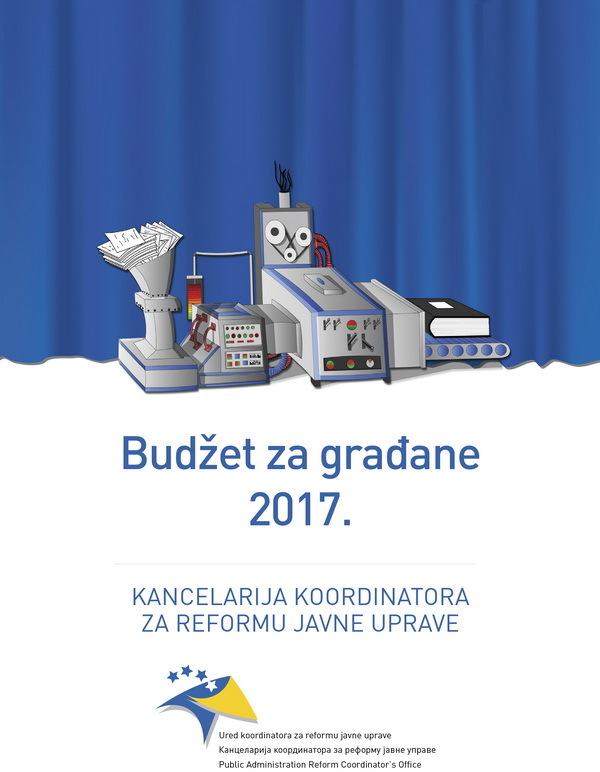 Since Public Administration Reform Coordinator’s Office is the first state-level institution which has prepared “Budget for Citizens”, Ćuzulan hopes that other institutions will also follow their approach. Importance of availability of budget information to the public has been recognized by the International Monetary Fund, the Organization for Economic Cooperation and Development and the International Budget Partnership. The International Budget Partnership promotes and encourages introduction of practice of preparing “Budget for Citizens” by using their guideliness, as a part of their research – Open Budget Survey. Development of the methodology and “Budget for Citizens” is funded by the Open Society Fund. “Budget for citizens” of the Public Administration Reform Coordinator’s Office is available here. The publication is available only in local language.